On the 10th Anniversary of their introduction, the Custom Z saxophones have been reexamined from neck to bell. They now offer the ultimate combination of expressiveness, response and control while staying true to their free-spirited origins. Since the Custom Z was developed in 2003, the technology, craftsmanship and specifications of the Custom Z series have continued to improve to fulfill the needs of the highest level musicians. 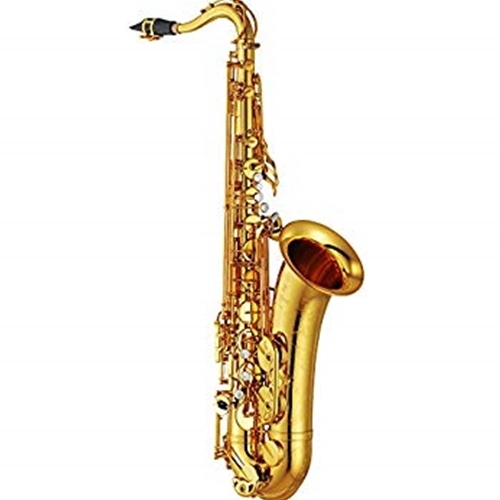 One-piece bell with new engraving In the tradition of those coveted vintage saxophones, the 82Z now comes equipped with a one-piece bell. This feature drastically improves low end response and offers the player a wider palette of tonal color. More elaborate with finer detail, the new engraving design offers delicate beauty. Metal resonator pad The metal resonators offer an outstanding response and deliver a wider dynamic range. The entire range of the instrument has a clearer pronunciation, providing effortless playability all around. V1 neck The wide bore taper of the V1 neck provides a free-blowing feel and the greatest possible flexibility. Improved Low B-C# connection An improved mechanism from low B-C# connection ensures the consistent closing of the low C# key and promotes a clear response from notes in the low range of the instrument. Lighter thumb hook and thumb rest bases Lighter thumb rest and thumb hook base designs produce better response and a more cohesive tone. Adjustable Front F key An adjustable Front F mechanism gives the player the freedom to find the optimal level of resistance in the altissimo range. Case The 82Z comes equipped with lightweight case that has a shoulder strap.